During the Gathering of the Green I hopped on the big yellow school bus and traveled to Milan Illinois with my husband Keith and a group of other tractor enthusiasts to see the Kenny Bush museum. Kenny Bush and his wife Marilyn have been married for 55 years and they have 5 children and 13 grandchildren. The museum serves as a place for his extensive collection of agricultural items, tractors and everything in between. The museum is a place where young people and collectors alike can learn a lot about agricultural history. Taking over the farm at the tender age of 16, Kenny Bush has worked hard and his collection and the family history included in the museum shows his love of farming and his loved ones. 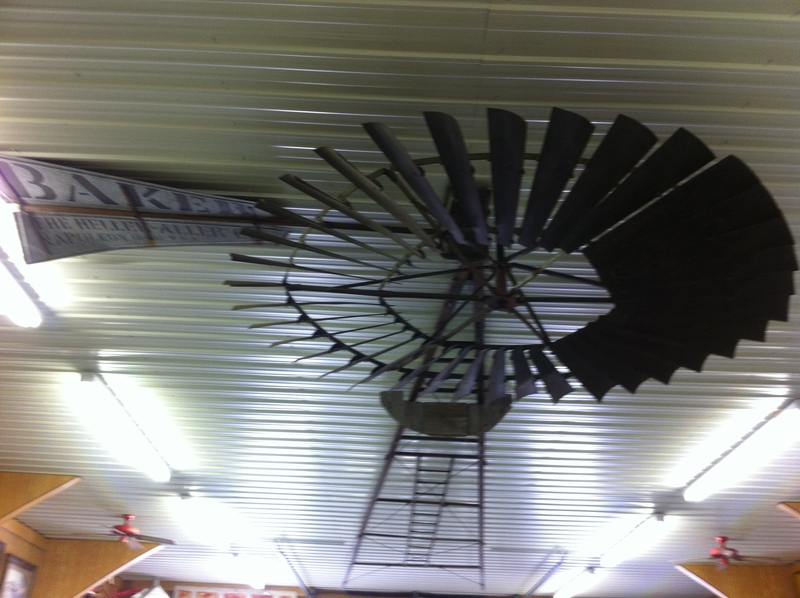 The museum has two phases, one is the main museum with the Baker windmill hanging on the ceiling in the dining hall that is flanked by John Deere literature and grandchildren history plus a rare Velie car. In the front of the building are displays with literature, history of a backhoe for pedal tractors that he developed originally for his grandson and much more. Upstairs is a one room school house, old farm kitchen and small tools. 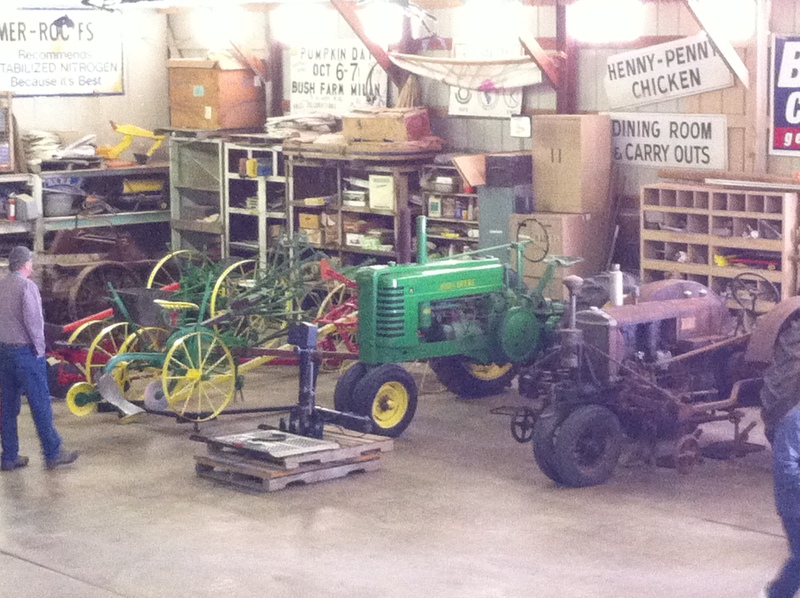 In the shop is Kenny’s collection of tractors which include a beautiful Heider tractor and more. I will be detailing more about this museum in other publications, but if you get a chance to be part of a tour at this amazing museum you won’t be sorry you did. While my time to visit with the Bush family was brief, it was evident in both his son Kevin, and daughter Karen and wife Marilyn’s comments that this museum is a labor of love for all involved. 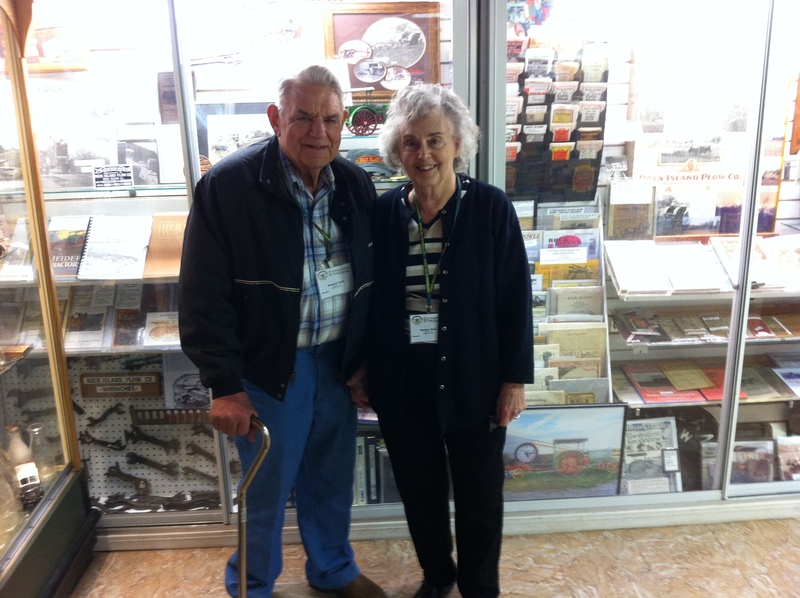 “I love seeing my dad’s love of farming, family and history expressed in a way people can enjoy,” Karen Jackson said. Kenny Bush’s museum is located at 6706 78th Ave. W, Milan, Ill. 61264. This is a private museum and requires reservations to tour. Call 309 787-1926 to set up a time to visit. Next Post: III Tomasso's Italian Bistro, fun!